THE SUNDAY POST is a weekly feature hosted by Kimba at the Caffinated Book Reviewer. It is a chance to recap the previous week, share news, showcase books and/or bookish things we have received, and tell about what is coming up on our blog in the next week. You can view the guidelines, HERE. I am still only listening to audiobooks. You can find out what my strangest jobs were. Ha! What books would be on your syllabus if you taught "subject" 101. You will have to go have a peek to see what subject I chose. Just in case you don't want to hoof it over to my post, I will be nice and tell you about the ebook deals I found. THE MARTIAN is a $1.99 ebook on Amazon and the added narration was $2.99, but I don't know if that is still on. The narrator is pretty great, so I would check to see and not miss out. 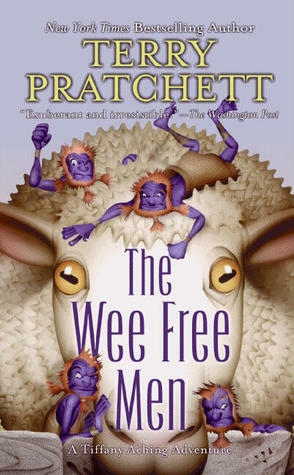 WEE FREE MEN is still a $1.99 ebook. Shannon from REX ROBOT REVIEWS gave me the heads up about this one. And Michelle from IN LIBRIS VERITAS had this nice little book on her FACEBOOK FREEBIES post. It is about a young girl and her imaginary friend. 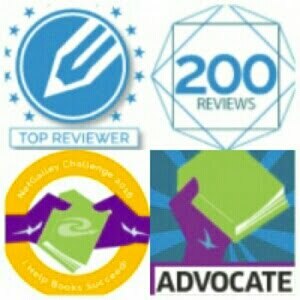 If you want the links to any of these books, please go to my STS post. Ha ha, I am not that nice. Elizabeth from SO LONG... & THANKS FOR ALL THE FISH started an Anime/Manga 101 feature. I have watched a lot of anime, but I am a nube when it comes to manga, so I will be a faithful follower of this feature. You can see which words were added to the OXFORD DICTIONARY on MENTAL FLOSS. I had a bad week in cyberspace. First a disgruntled blog commenter tweet bombed me on twitter with 20+ tweets about how rude I am. Then someone (I do not know) on Twitter asked an opinion question and proceeded to word bash everyone who didn't share her opinion and her friends joined in. She didn't really want people's opinions, she wanted to start a war. Then someone in my book club, on one of the Harry Potter Facebook groups I am a member of, started commenting about how most young people are now basically illiterate because of the internet. She said several of the YA books she had read lately were written in "textspeak" and she supposed that would become the norm because it is the only way young people will be interested in reading books. I commented back that I read a ton of YA and the only time I have seen "textspeak" used in a book is when the characters are texting or tweeting in the story. She then added that they all speak in "textspeak", so it would make sense that books were now being written in it (did she even read my comment). I told her that I don't know any young people who speak in "textspeak" and I am around a lot of them between my son and nephews and their friends, and the kids I volunteer with. I said in fact on the internet where they do not have character limitations like emails, Facebook and blogs they very rarely use it. THEN another member jumped in saying I must be lucky with the kids I come in contact with because all the young people she knows speak that way. I gave a few more examples such as, if they all wrote and spoke that way no one would be graduating from high school or getting into college. The later commenter is from the UK and I said she had better be careful what she comments because that doesn't paint the English education system in a very positive light if her experience is true. Neither of these people have children, and I have never seen them comment about nibblings, or any other younger family members, so I do not know where they get their expertise. When I saw that the member who is known as the Queen of Disruption (you will find out about her in my next WHATCHA THINKIN' BOUT post) had also commented, I left the group, but not before commenting that I wonder what JKR would think about what they were saying about young people because she is their champion. It made me sad to abandon my book club. And last, but not least... yesterday I was commenting on a Twitter thread started by someone whom I thought was a tweet peep and blogger buddy, when everyone else on the thread started commenting *wink* and *wink wink* after every comment I posted, and the blogger wasn't acknowledging anything I asked, but answering others. I was CRUSHED. She is one of the book bloggers who is always starting BloggerLove hashtags and blogger morale hash tags, and then she does this. 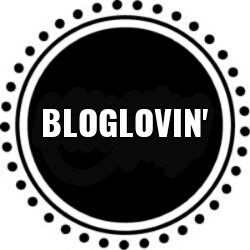 Needless to say I have run from my blogging Twitter account and have taken refuge in my personal account, with people I can trust. It was definitely a STRANGE week because I received an odd email when I was approved for this book on EDELWEISS. The publisher said that this book must be reviewed on a blog and the link to the review is to be sent via email, or they will not approve anymore titles from their publishing house. That's a new one for me. There might be a WHATCHA THINKIN' BOUT if I finish the research on either one of two I am working on, and if Skye and Cait post questions for BEAUTIFUL PEOPLE there will be a post for that feature, also. 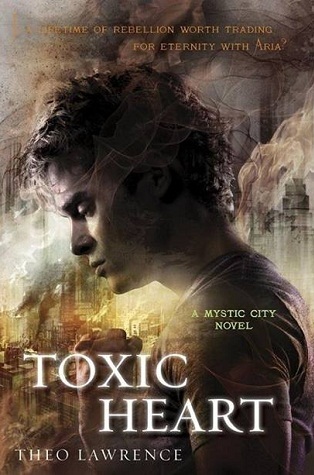 Last month I was raving about getting a Mystic City hardcover for my shelves and this month I am raving about getting its sequel TOXIC HEART in HC! I bought the last paperback of ORLEANS to give away. I have given away four and have three more for gifts and giveaways. However, the hardcovers have come down in price so I am going to buy one of those for the blog review giveaway. 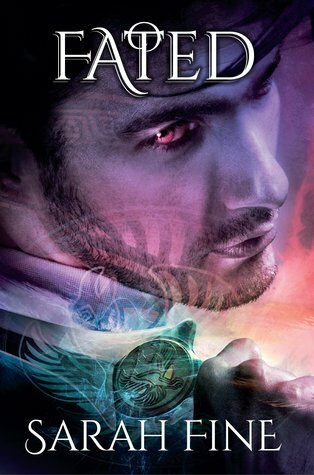 FATED is the last book in the Claimed trilogy. While I am not a fan of the type of romance in these books, I very much appreciated the storyline, and could not imagine not knowing what happened to Aislin and Jason. Another point in Sara Fine's favor is that the characters are mythological and I usually don't like that premise. 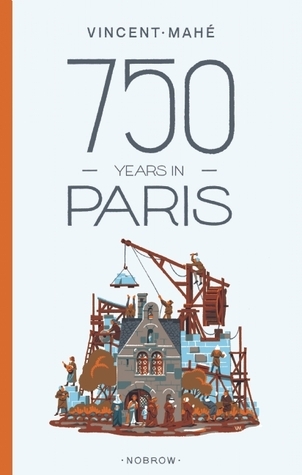 750 YEARS IN PARIS is a literary graphic novel. Besides getting the eARC via Edelweiss, the publisher sent me the illustrative pages as PDFs. I adore the Parisian culture, and feel very lucky to have this ARC. I had a look at it last night and it is brilliant! This was an odd approval. The email the publisher sent me said that I must review this book on my blog and send them the link. If I do not review it on my blog they will not approve any other requests they get from me. Ha ha! This was July's NovlBox curated by LIBBA BRAY. I am only keeping the Novl tote. I am sending Elizabeth from SO LONG... & THANKS FOR ALL THE FISH everything else but the nail polish, which I am giving to my sister. She loves Libba's books so much! If you would like to enter to win a NovlBox, check it out HERE. Oh, and I ate the candy. Ha! 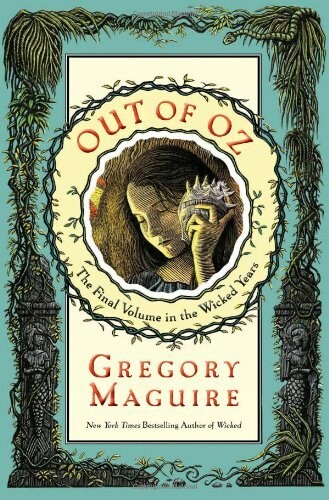 It was on special for $1.99 and I snapped it up because I am planning to read all four of the Maguire Oz stories for the Fairytale Retelling Challenge. I was hoping to add the narration for a decent price, but $12.99 was too pricey for me. 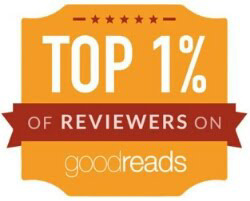 This was a 99 cent ebook deal I saw on BookBub. I had been coveting the hardcover of this book for some time. The day I saw it in Barnes and Noble, about five years ago, it was $29.99. I almost screamed out loud when I saw it was less than a dollar! I waited until the next day to tell my sister, and she hates me now because it was back up to $9.99 for the ebook. The restaurant is in Salem Massachusetts, and it is superb! I preordered this for 99 cents, and it released on August 18th. It is a short story about how the Darkling came to be from the GRISHA TRILOGY. 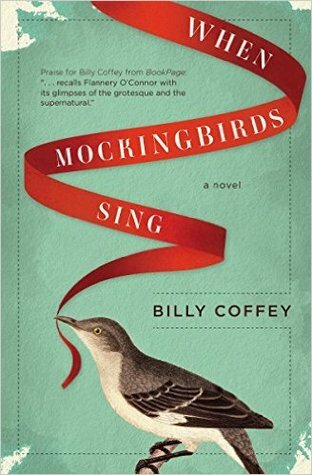 This is still $1.99 as an ebook and I added the narration for $2.99. I do not know if the narration is still at that price, but you should definitely check to see! I love the cover, it is about a little girl's imaginary friend, and FREE; what could be better? What was your favorite bookish acquisition this month? Top five books on my syllabus if I taught "subject" 101. This will be totally different than you expected. 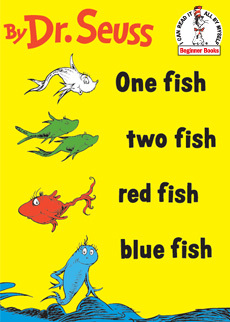 I had every intention of teaching my son to read at an early age, but in my mind that would have been around the age of four because that is the age my grandmother taught me to read using my Dr. Seuss book One Fish, Two Fish, Red Fish, Blue Fish. 1. How To Teach Your Baby To Read by Glen and Janet Dorman. This book gives instructions on how to make your own flashcards with a wide tip red marker and the backside of large index cards. I bought both of these things at a dollar store. They also give you lists of words to make into flashcards and augmentation schedules. Teaching tips such as always ending each session with a few words the child already knows to build confidence and doing several short sessions a day instead of one long lesson, were extremely helpful. In three weeks he could read 50 flashcards. 2. The BOB Books by Bobby Lynn Maslen. When Sebastian had about 20 or so words under his belt, via the flashcard learning, and we were reading actual books during some of the sessions, I was using easier pages in his favorite book Go, Dog. Go! However, I am listing the BOB Books second because they were the first stories he could pick up and read to himself in entirety, with no help from me. I was amazingly lucky in that I stumbled upon this first set of books on a clearance table in Barnes and Noble, marked down 75% with a ripped box, because these books are PRICEY! I think you can probably find them in the library now because they are quite popular. I think there were only three sets back in 1994, but now it looks like there are ten! If you go to their website, HERE, there are some free printables and activities. There is also a game app. 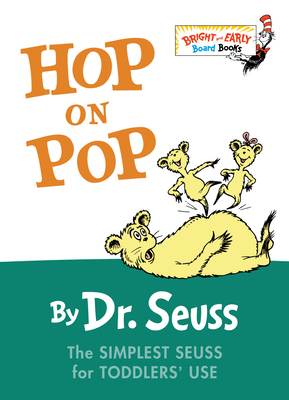 This was Sebastian's favorite Dr. Seuss book by far, so it only made sense to me to use it as a reading primer. I added my own exercises to the sessions put forth in the Teach Your Baby To Read schedules. 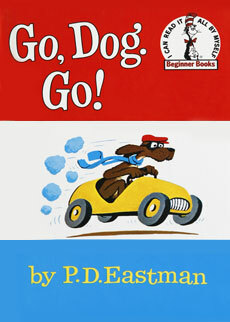 One was to make flashcards with words from the pages of Go, Dog. Go!, so he could start reading the book a page at a time. 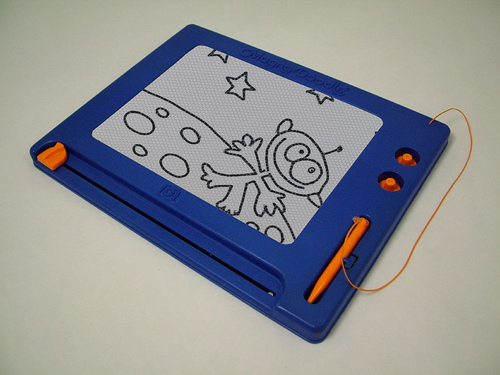 He considered it a big kid's book, so being able to read from it was a huge confidence builder. This was his favorite page. Of course I had to incorporate the book I learned to read with. 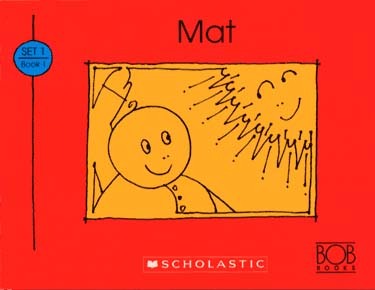 This book used many of the original flashcard words from the tuorial book, so it was a good inclusion for my reading sessions with Sebastian. He also loved reading it to his father. By the time Sebastian was in 1st grade he was tested as reading at an 11th grade level. I attribute his stellar success in school with his advanced reading skills. So it is well worth the time you take, no matter what age or reading level, to pump up your child's skills. With the library, a couple of items from a dollar store, and all the free printable activities on the web, it is nearly free to do! Keep an eye out on Dr. Seuss's birthday, March 2nd, because earlier this year I was able to buy a bunch of Seuss reading apps for next to nothing (see sample video below). They were not only on special, but if you purchased them from Amazon you got "coins" for each one you purchased, so I puzzle pieced the prices and coins around until I was able to buy ten of them for less than $8.00! They are wonderful. 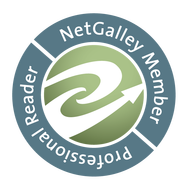 It is like having the ebook, narration, and a reading tutorial app all rolled into one. Their webpage, HERE, says there are over 50 Seuss titles. I think at the regular price of $3.99, they are still a bargain. I am hoping next year they feature different titles, so I can harvest some more bargains. I am buying them for babysitting and someday grandchildren, but I will tell you I have rescued more than one parent from their unhappy child in a waiting room, or on the bus with these apps. Here is a sample. The words light up as you go through, and if you tap them it will say the word, and if you tap the picture it will do sound effects and also say the word for each object! What is the first book you read all by yourself? WHEN IT COMES TO... #2 WTH?